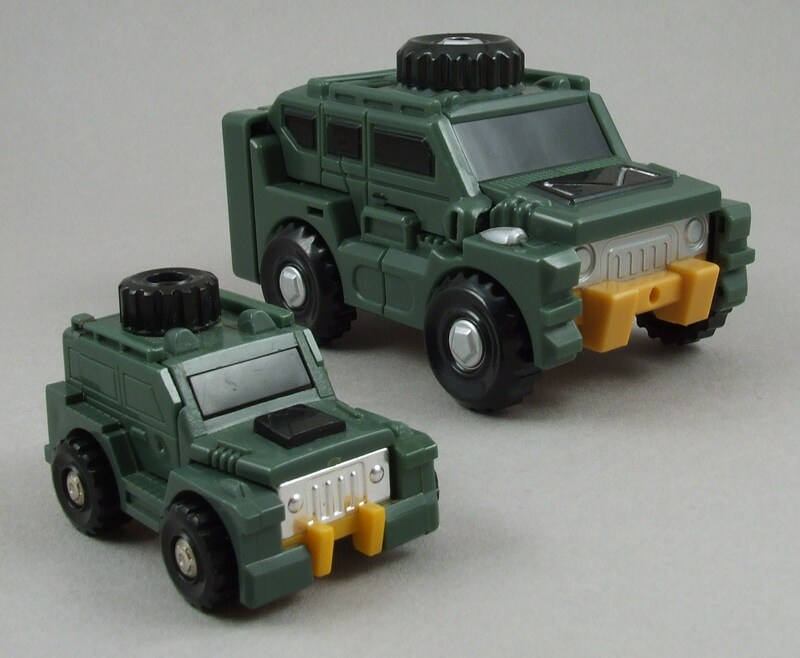 Brawn’s alt mode is a Toyota Land Cruiser altered slightly with some bells and whistles. 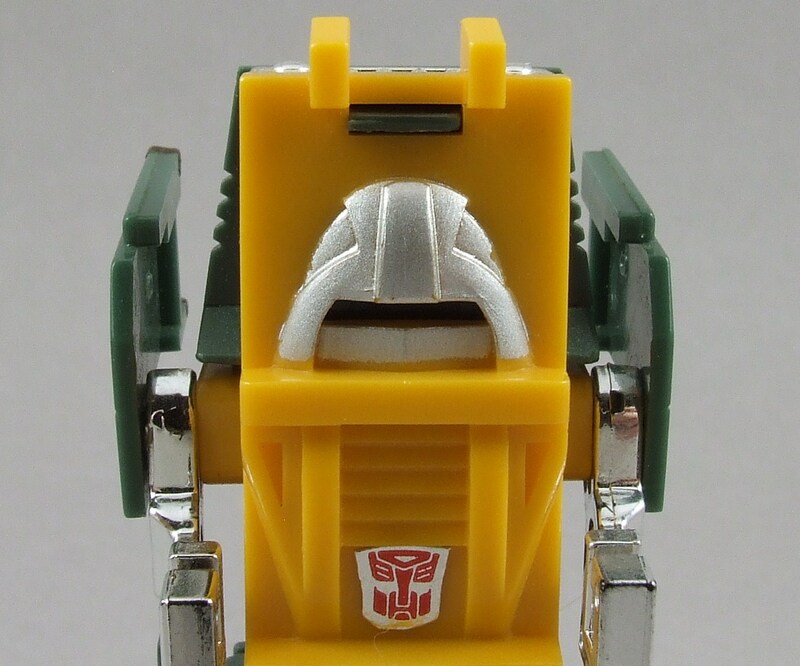 Although Brawn lacks the rubber tires that some other mini-bots have, there are other very nice touches of detail to this mini-bot’s alt mode. 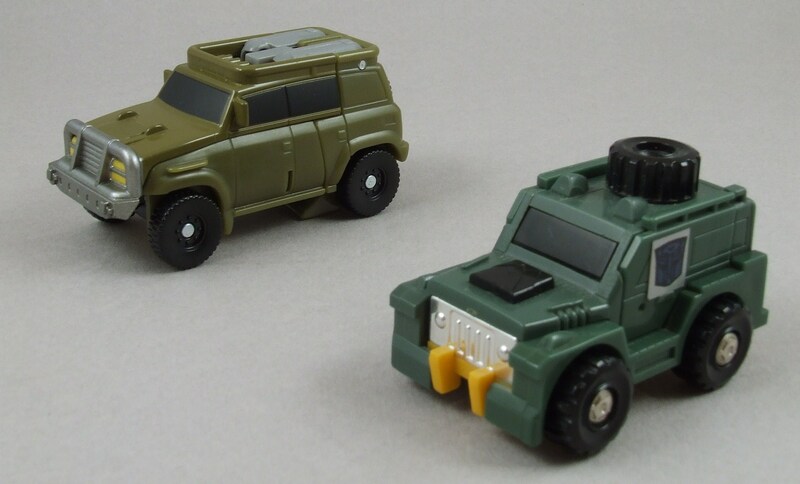 My favorite feature about Brawn is the spare tire loaded on the roof of his vehicle. 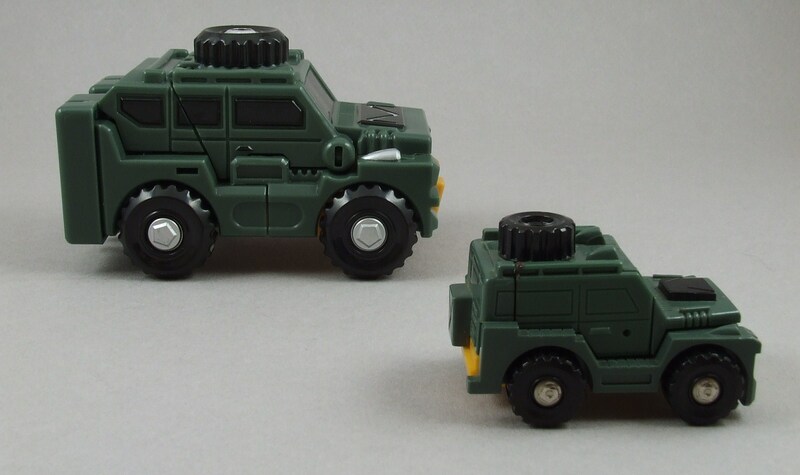 Just eye balling it, it seems to be the same size as Brawn’s rear tires; how much I wish you had the ability to detach the spare and replace one of the tires! Another feature of interest is the gas tank on the backside. It’s got that classic off-road look to it with a big “X” right through the middle of the tank. 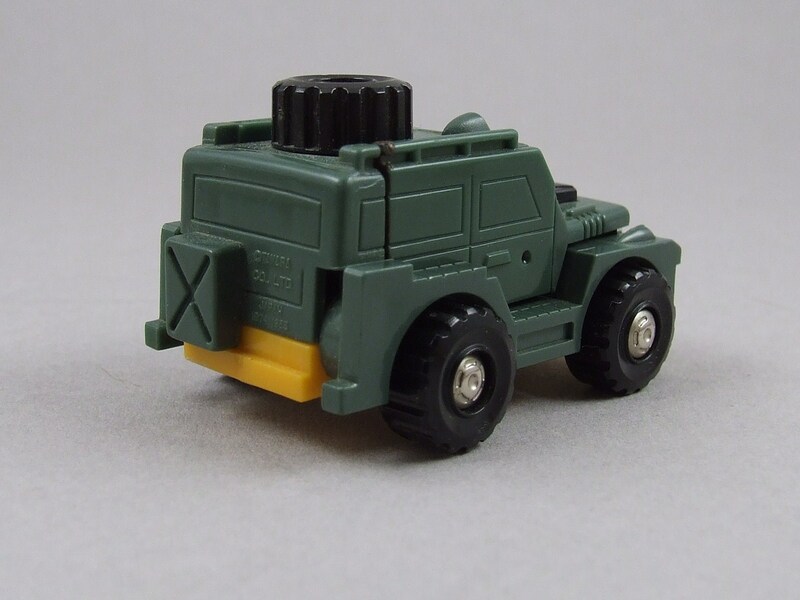 Very small, but intricate details are added to Brawn’s alt mode that really makes this figure fun. 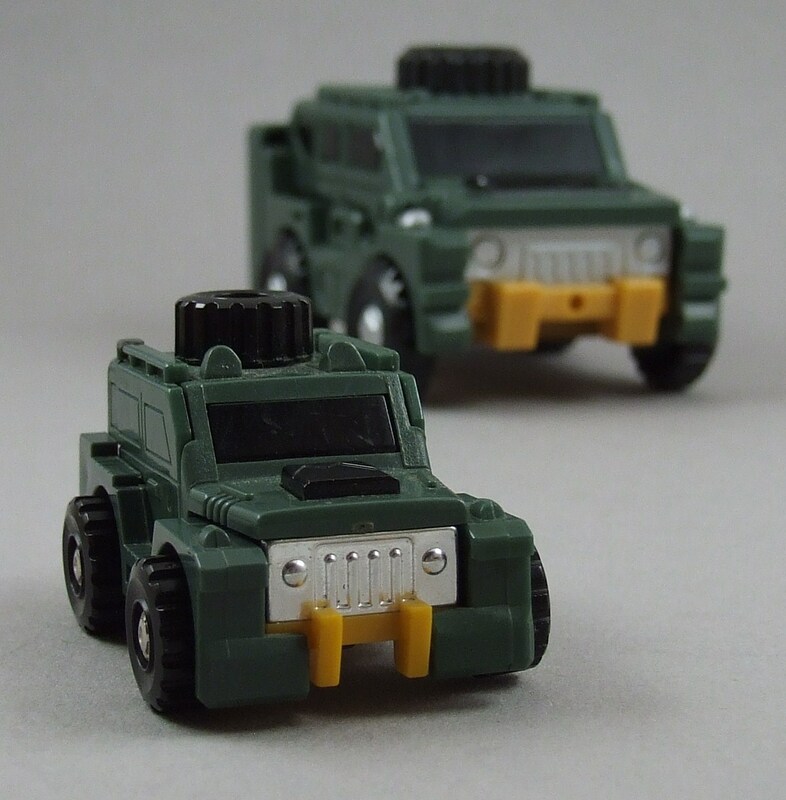 Other details worth mentioning: the chromed grill, molded detail on the hood/engine block, and decent headlights/swamp lights on the hood and roof of Brawn. 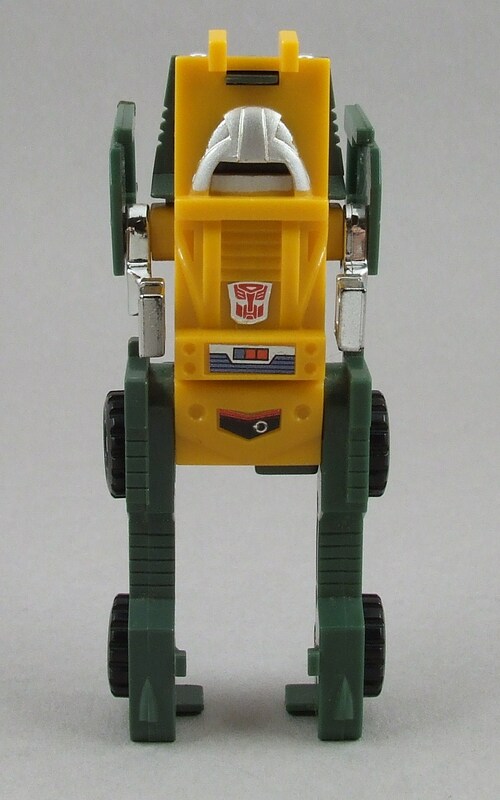 All and all, this mini-bot has all of the little things going for him in his alt mode. Great details bring out the alt mode. 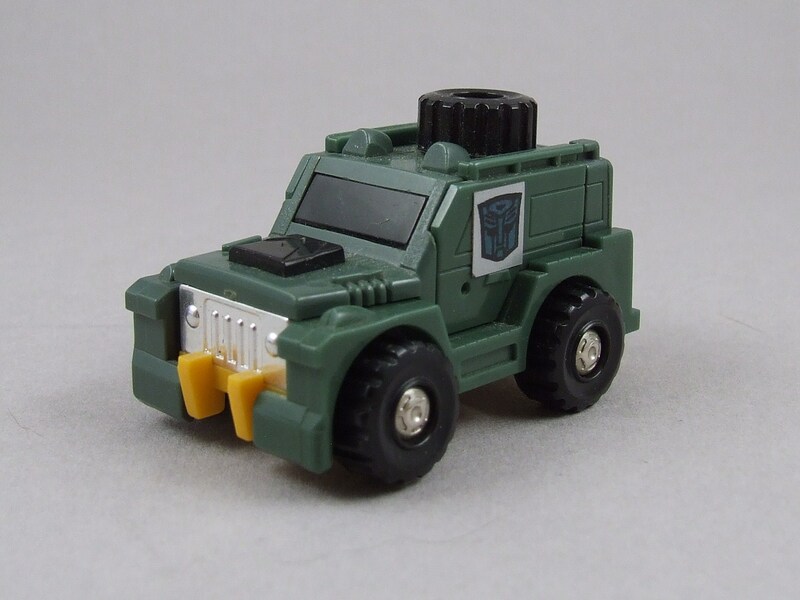 Brawn’s transformation to alt mode was the first G1 transformation I didn’t really enjoy. It’s very fidgety. I think my figure suffers a bit due to age (I can hear something squeaking inside there). Regardless, in true mini-bot fashion, a few flips of the legs and arms and you have the robot mode. 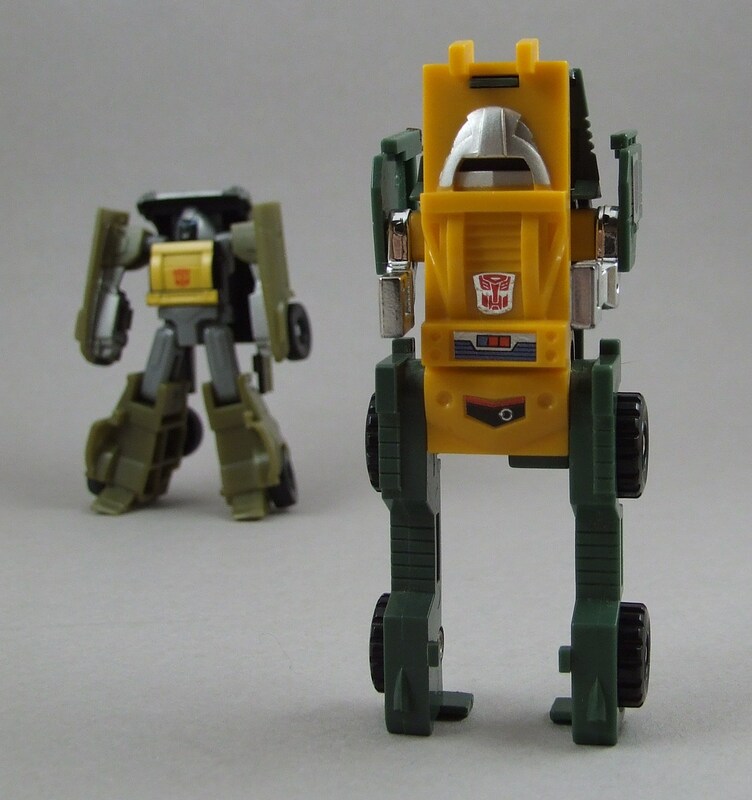 The first thing I took notice from Brawn’s robot mode is his stature. 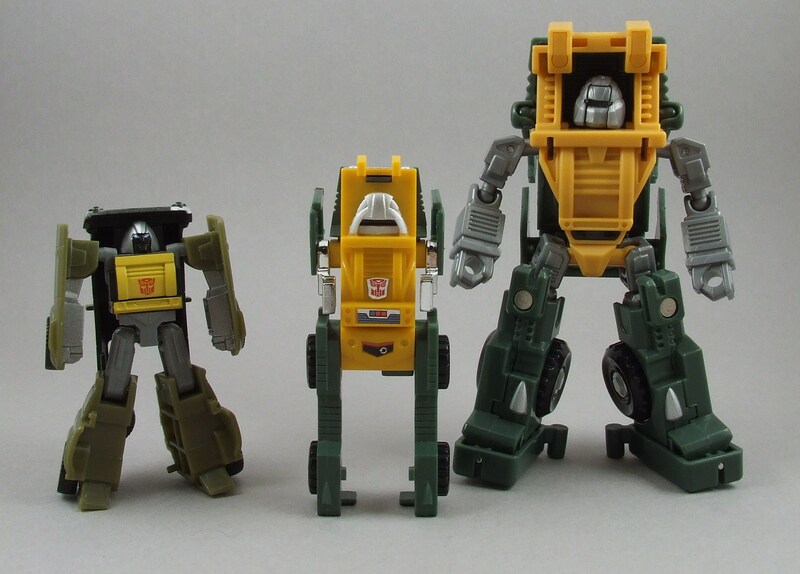 For a character who is associated with being small his toy sure is tall compared to other mini-bots. Brawn’s stubby t-Rex arms and disproportionally long legs are also hard to miss … how is he suppose to be so strong with those arms?! 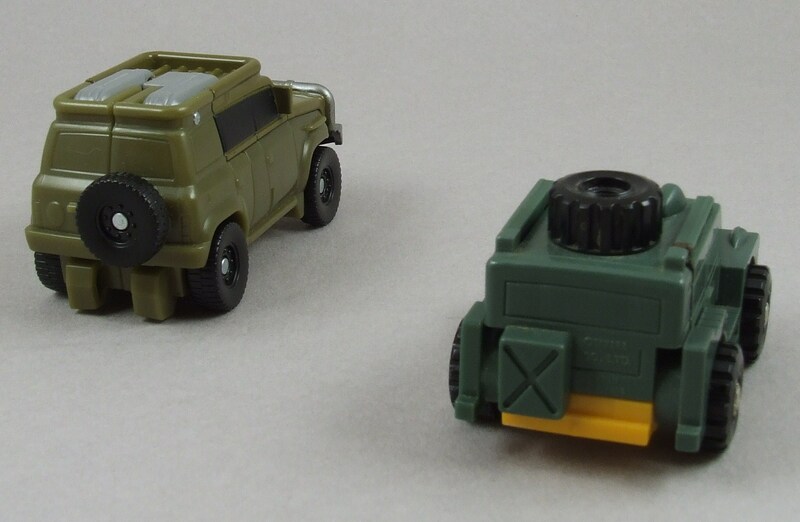 Brawn’s robot mode in my opinion is the weaker of the two modes. Regardless, the color scheme and comic book style face do work in the figure’s favor. I really enjoy cartoon accuracy, but I also think comic book accuracy is just as cool and little bit more fun because it’s less known. 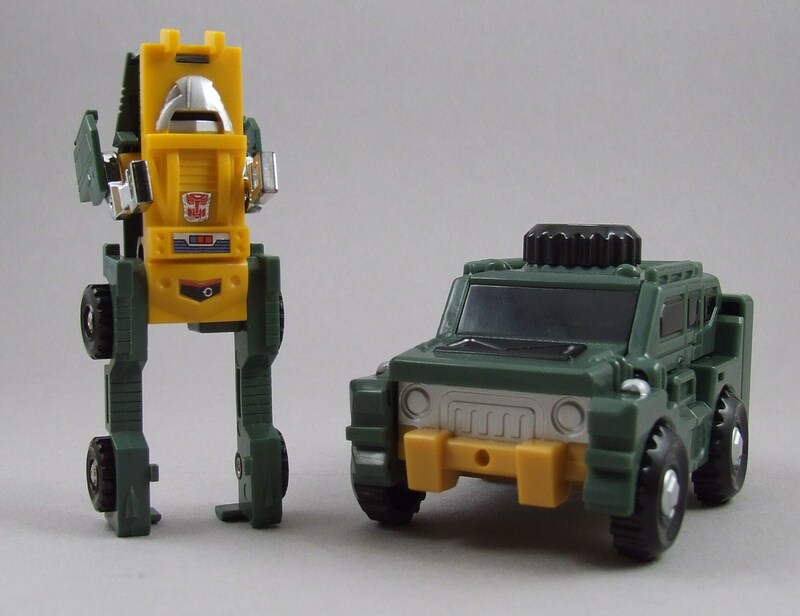 Although I can never expect too much from G1 proportions, I can’t help but feel like Brawn’s proportions are just a little too off. 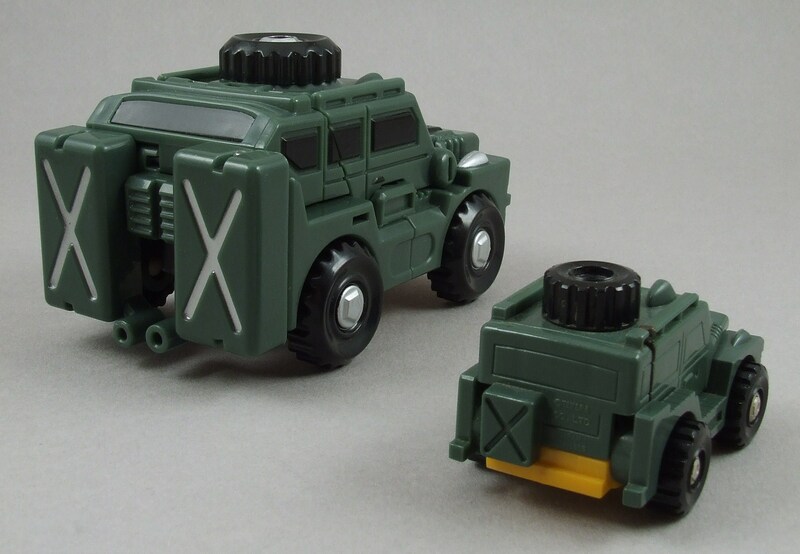 In this case, Brawn’s alt mode is the better of the two, but I still think the comic book look of Brawn makes up for a lot of downfalls. Proportions are a little off, but OK.
iGear matches the G1 details almost stroke for stroke … all we need is some die-cast! Now with two gas tanks. Almost looks like these two are the same figure. 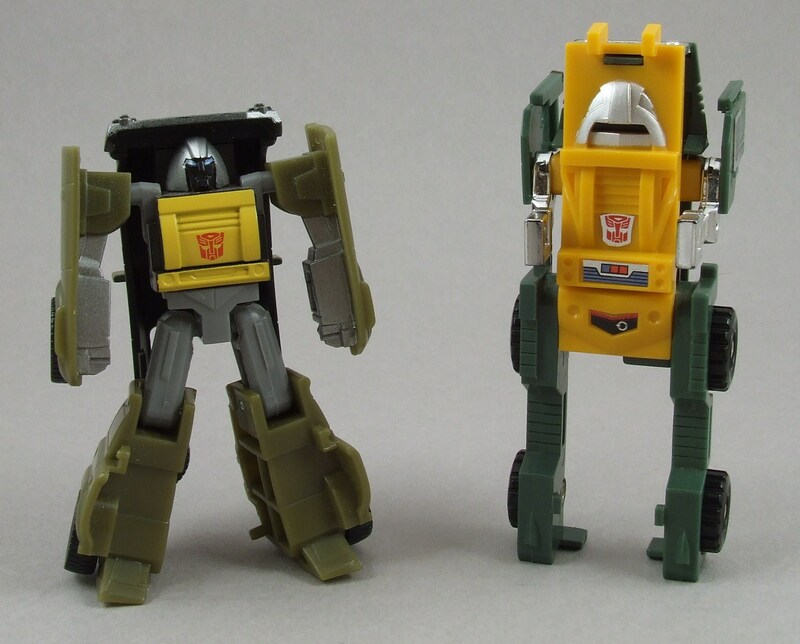 Side by side: robot and alt mode. The Evolution: 2/3 comic book accurate. Plus 1 point for iGear Hench: two heads for both cartoon and comic book accuracy. 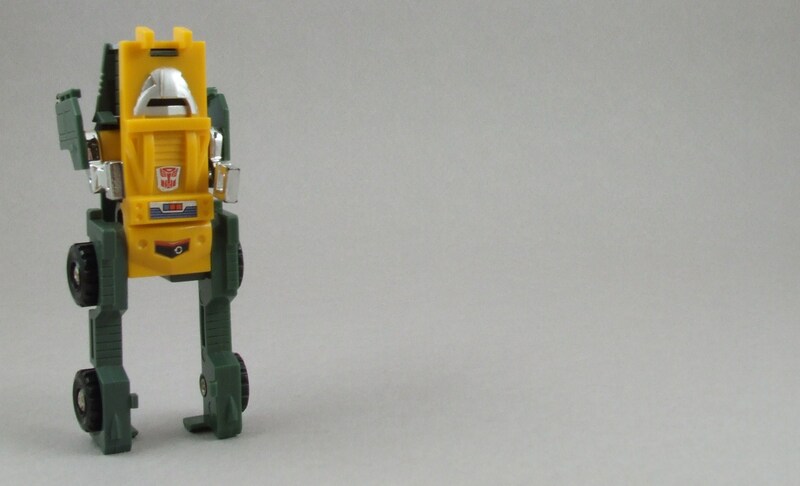 A G1 toy is taller. Doesn’t happen often. 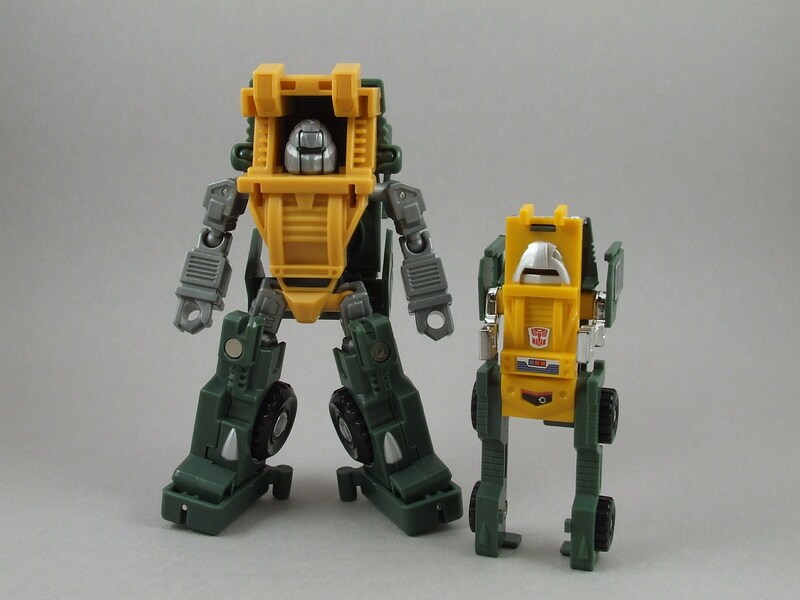 Brawn is an average figure. I really dislike the fidgety transformation, but at the same time I love a lot of features about the figure as a whole. The alt mode is just packed with small details that you really have to look for in order to appreciate them all. 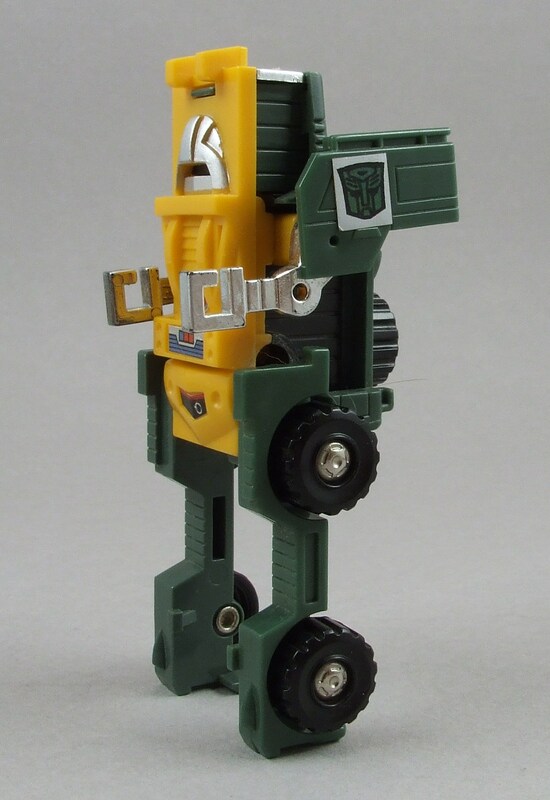 The robot mode, although being the weaker of the two modes, is still good for its comic book appearance and for just being friggen Brawn. If you want a Classics version of this character, get the Legends figure. 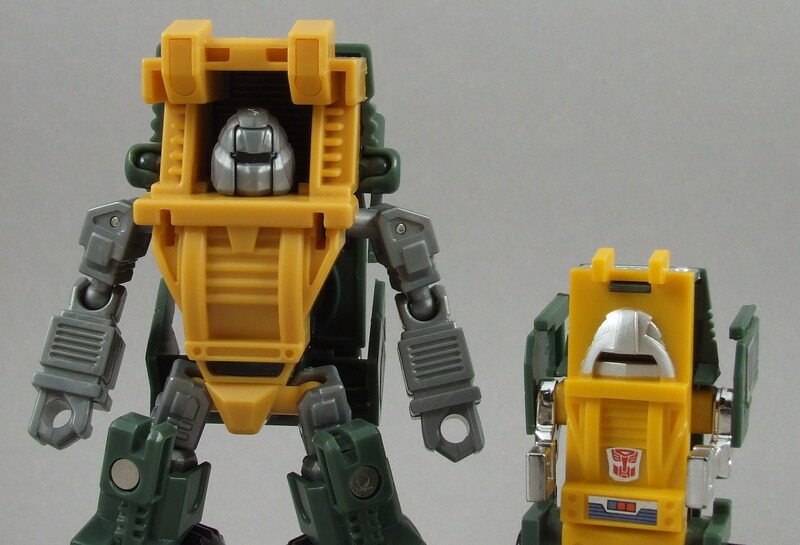 However, if you want some articulated G1 awesomeness and don’t mind cheapening the hobby a little bit … iGear Hench is the way to go. Watching that clip from the movie made me remember how much I hated that scene. Brawn goes down with a shot to his shoulder? 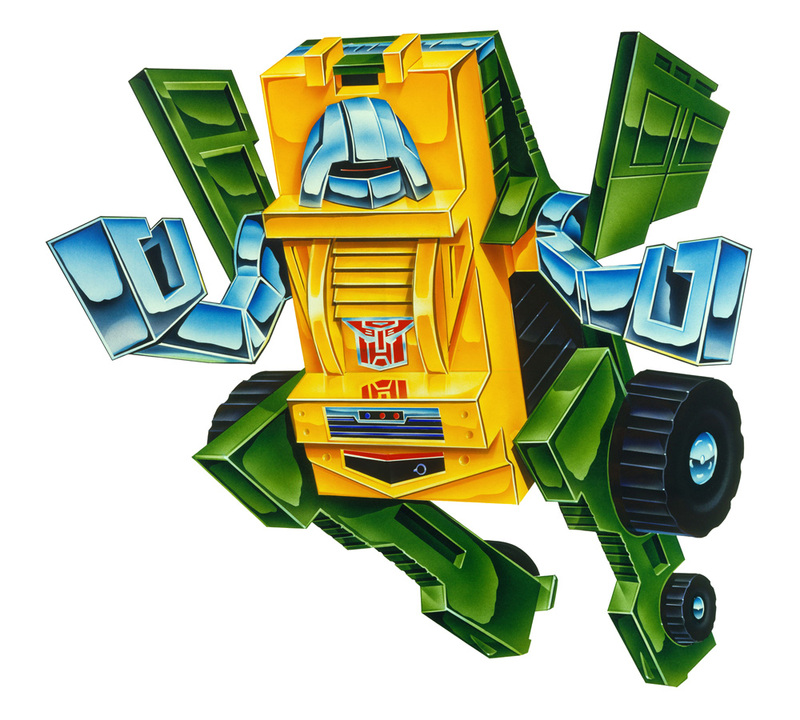 When did the Constructicon’s pistols become so powerful that they could fire right through Prowl? Bah. I’m with you on using the Henkei! Henkei! 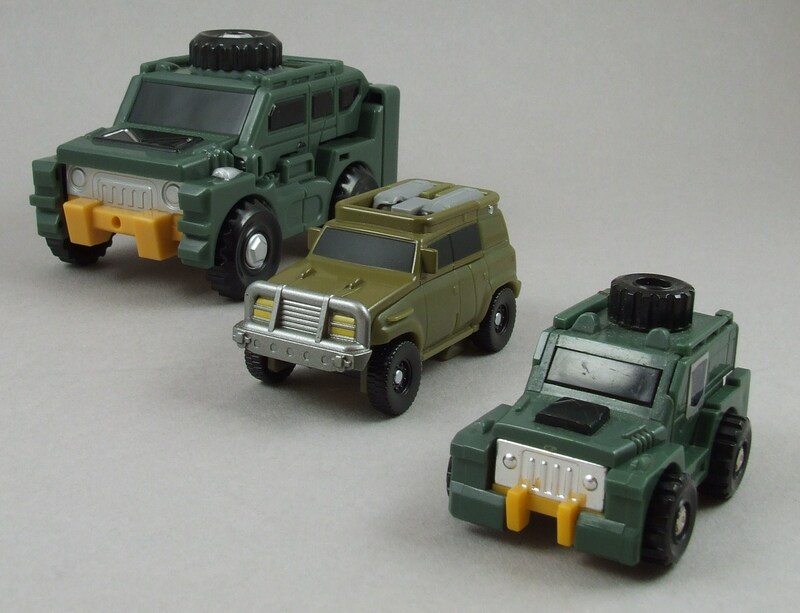 Legends Brawn as the Classics stand-in. 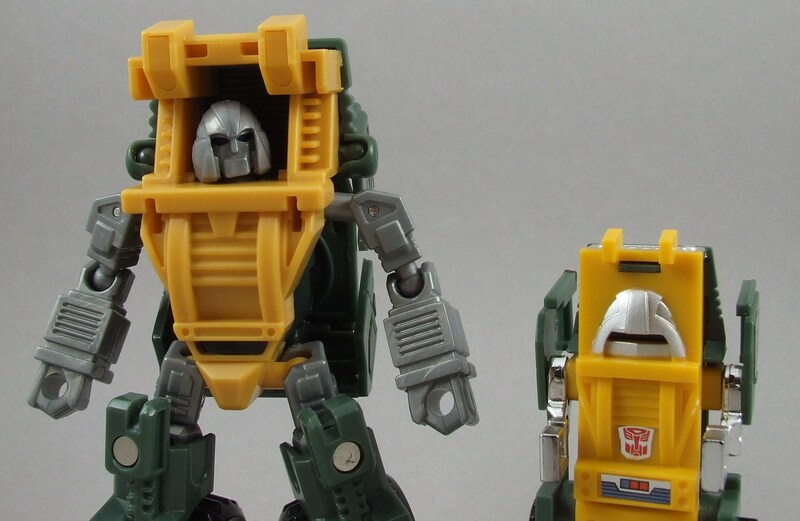 I use most of the Legends mini-bots for that purpose…that’s why I hate that some of them are getting upsized as is. I’ll still pickup Hench eventually, but I’m not sure where he’ll go.